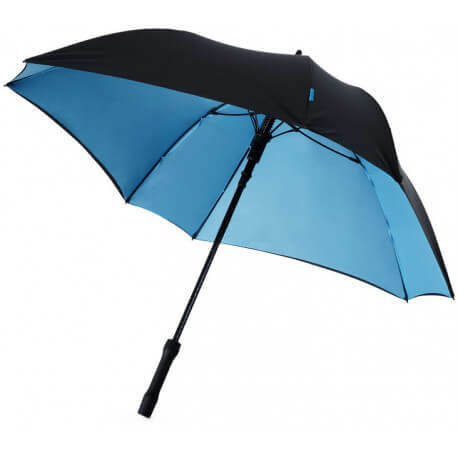 Square 23" double-layered automatic umbrella. 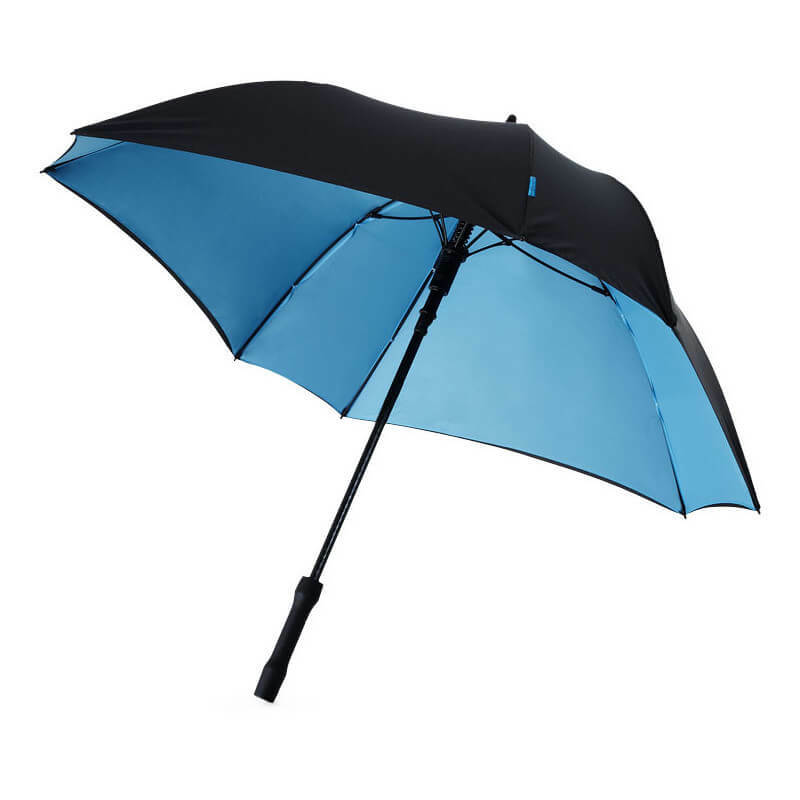 Unique and exclusive design square shaped umbrella. Automatic opening. Contrast color interior canopy and black color pouch. 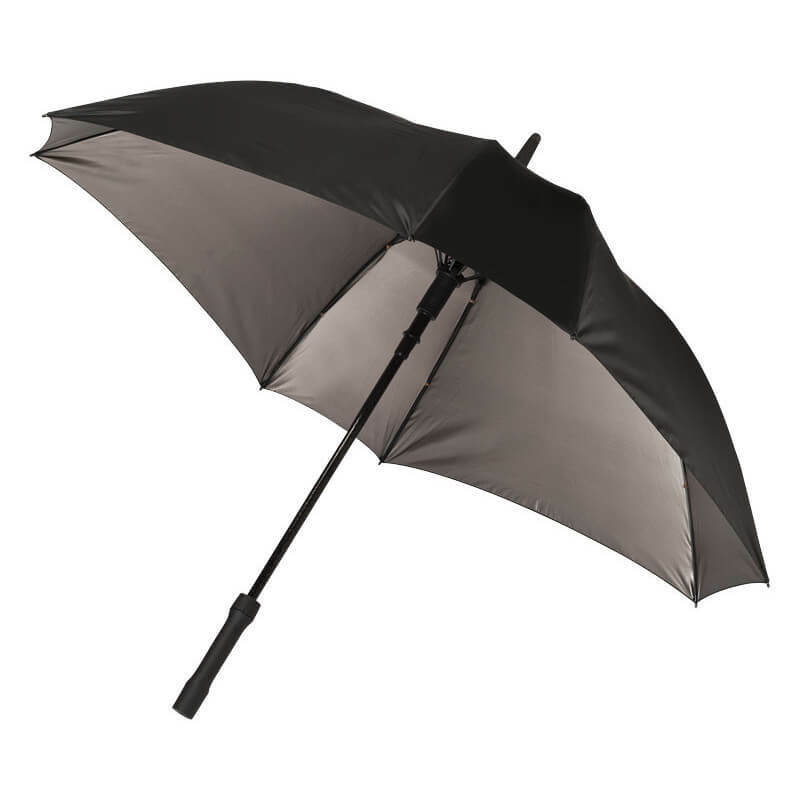 Fiberglass shaft and ribs and rubberized handle. Pongee polyester.